Since the introduction of BIO-GRO™, not surprisingly, we've received a lot of questions about what bio-active peptides are and how they can enhance your training. So we pulled together the 10 most frequently asked questions to give you the answers. These answers aren't complicated and are quite revealing about the importance of this new muscle-building category and how it may help athletes and everyday people alike. 1. What Are Bio-Active Peptides? Bio-Active Peptides (BAPs) are tiny amino acid sequenced chains that have a very specific function and target. In all proteins, there are the active components or parts of the protein chain that actually perform the function of that protein. They have a specific active site, and the entire protein functions by the active portion making contact with its unique and matching target receptor. Thus, when the BAP portion is separated from the rest of its protein chain, the function of that protein is preserved in the BAP. Not all BAPs serve the same function. Some perform specific hormone-like tasks while others perform specific functions to help cellular processes. BAP's have been around for a long time and have been used for health and medical applications predominantly. Isolated by function, they can be extracted and consumed to perform those actions directly, rather than having to be digested, extracted, and then shuttled to the active site as they would from a full protein chain. EVERY protein of any sort carries BAP's; however, only the isolated extracted-by-function component is a true BAP. 2. How Are BAPs Different From Aminos or Protein? Bio-Active Peptides are amino acid chains. They are micron-sized groups of a very few specific amino acids that are connected to form a specific function. While they are amino acid combinations, they do not form complete amino proteins. BAPs are different from protein in that they are just a very small piece of the larger protein molecule. Proteins are generally very large and heavy by comparison as their chains contain hundreds to thousands of aminos, giving them a substantial molecular weight as compared to BAP, which is a small chain of very low molecular weight. BAPs are the active component of a protein. when separated from the protein, they act as their specific function would normally do if they were still attached to their larger protein. Since BAPs are low in molecular weight and do not carry the excess parts of their larger protein counterpart, they are rapidly absorbed into the bloodstream. From there, depending on their function, they either enter the cell directly and move to their target site or they reside on the cell itself and perform their job on and between the cells. Some act to start a pathway or process; others act as signal mechanisms; and some simply relay or convey information to other parts of a cell. In short, they come from protein (and in particular in higher concentrations of colostrum). They are found in all animal sources (in muscle and blood), dairy (the milks from animal or plant), and egg sources, fish sources (like animal), and plant sources (the protein portions such as soy, pea, wheat, hemp, rice, etc.). A true BAP is extracted from a larger protein. 5. Why Aren't They Found More In Supplements If They Are So Great? There are two reasons. The first is simply due to technology and the cost to extract specific BAPs. These active components of protein are sensitive and to be extracted intact, must go through a proprietary process that is sensitive to many factors such as heat, mechanical pressures amongst others. The second reason is more grounded in function itself. For a long while now, BAPs have been used, just not in the sports-performance world but rather the health and medical realms. More recently, scientists have begun to uncover sources of BAPs that are valuable for sports performance and also available for extraction through technology that can pull them from specific protein sources. 6. How Much Do You Need? A straight answer is impossible at this point. It appears that for BAPs designed for Muscle Protein Synthesis (MPS) and muscle development, the required amount is largely based on a few factors that tie directly back to the need for increasing MPS itself. In other words, those with larger muscle mass, those who exercise more frequently, those who work at higher intensities, and those who work harder and create more muscle damage are candidates for larger quantities. It also appears that BAPs, when in the presence of additional protein and/or high levels of naturally occurring muscle-building hormones, also benefit from larger quantities. 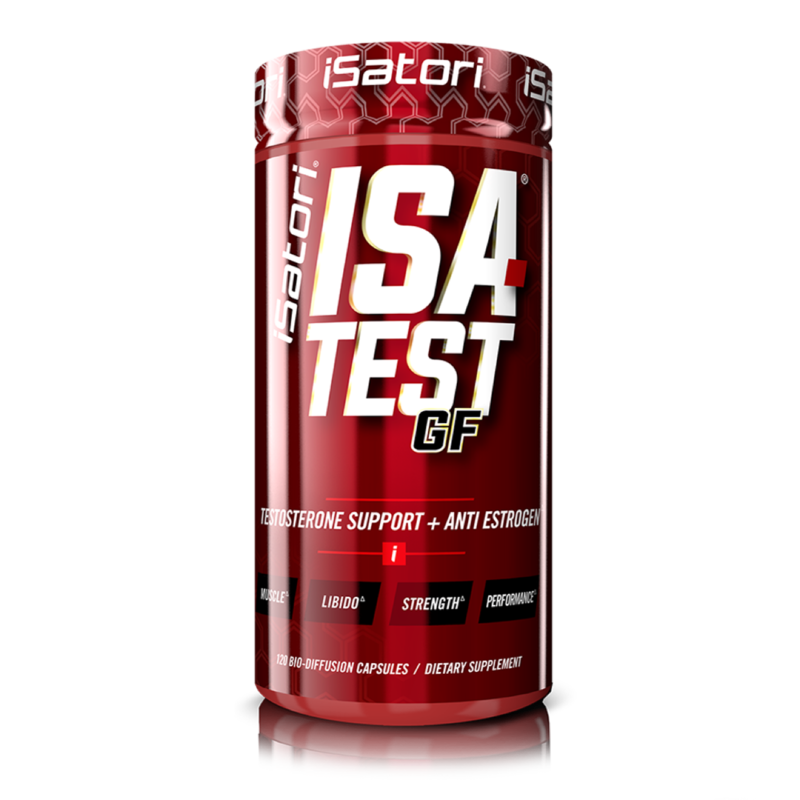 At iSatori, we have been investing significant time and money in understanding the direct correlation of BAPs to performance factors such as strength, recovery and of course accelerated muscle building. More detailed information on the positive results of using the specific ratio of BAPs found in BIO-GRO. Additionally, the type of BAP with respect to the required function likely plays a role in the quantity needed. For MPS, just a few grams of highly concentrated BAP's that contain the necessary components such as growth factors and proline-rich peptides are all that is needed. Perhaps the most important factor, however, is the purity, quality, and/or concentration of the specific BAP, thus determining the efficacy and amount needed. But, the exact amount is still unknown, however through our continuing research, we are establishing minimum amounts needed as well as optimal amounts for improved performance. 7. When Should You Use Them? The short answer: when enhancing a specific function is required. Of course, this means two things. One, that the specific function you want can be enhanced, and two, that the BAP necessary to perform the function exists. In the case of MPS, the timing is known to some degree as we know MPS occurs during and after a workout, and then continues for several hours post workout. We also know when protein is consumed, the body tries to use it for various functions. 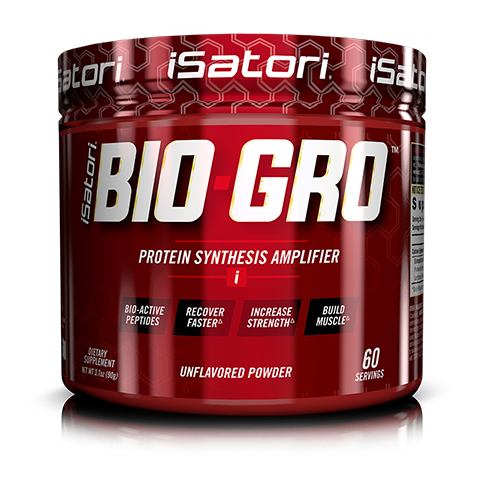 Thus, at least one dose of BIO-GRO should be consumed around a workout (before, during, or after), and then other doses should be consumed in the morning or evening and when other protein is consumed. Since BIO-GRO can deliver the needed MPS fueling bio-active peptides, you should be able to consume specific doses when needed. 8. Who Should Use Them? Anyone who wants to improve a specific function where BAPs can help. We believe that in addition to those who exercise, there may be many benefits for elderly, non-active, and other persons who would like to improve protein synthesis and recovery, but also, as the research continues, may find other forms of BAP's that will improve other aspects of life. For those exercising, consuming BAP's that help with MPS is a must. 9. What Forms (or Delivery Systems) Do They Come In? BAPs generally come in and are recommended in powdered form (as is BIO-GRO) as they are extracted from sources that are typically used in powders. From there, they could be capsulized as the delivery still allows for a suitable digestion process. While tablet forms of standard BAPs exist, it is not well understood if BAPs for MPS will stay intact, absorb, and deliver full efficacy if compressed into a tablet. Liquid forms may be viable, but again, efficacy and dilution have not been well-tested as far as the BAP's for MPS when it comes to shelf life. Combining BAP's with a liquid for immediate consumption does not appear to alter the kinetics of the digestion and absorption processes. This is exactly why BIO-GRO comes in powdered form. 10. What Can BAPs Be Combined With? Just about anything. As of the moment, it appears that low molecular weight BAPs seem to do well when mixed with most other ingredients or products like amino acid formulas, pre-workout formulas and proteins. While a full understanding is still not known, standard liquids, proteins, gels, and general foods such as oatmeal, yogurt, milks, and creams seem to hold the efficacy and make suitable delivery systems. It does not appear that liquids high in acid (fruit juices) compromise BAP's when consumed immediately after mixing, and liquids or foods that contain sugar, sugar alternatives, and glucose-like transport agents may enhance the speed of absorption and the overall effect of BAP's.